Five years after it debuted at the Youth Generation International Film Forum in October 2013, Chinese director Cao Baoping's Einstein and Einstein will finally hit theaters in China on Friday. "Although five years has passed, the theme in this movie is still very relevant for many Chinese families. 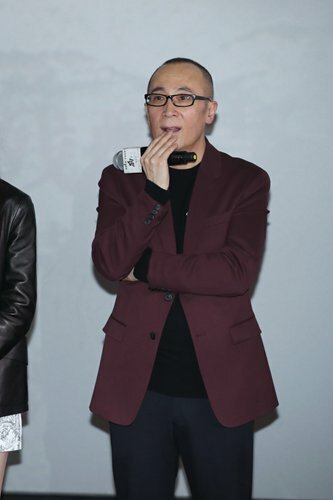 It still has the power to strike a responsive chord among audiences," Cao said at an early screening of the film in Beijing on November 30. The film tackles traditional styles of parenting in China by following a young girl Li Wan as she struggles with the way her father and grandparents are raising her. After her father's second wife gives birth to a son, Li is shuffled off to live with her grandparents. There she must come to terms with a busy father who grows increasingly distant. "It was very depressing to see her father hit her and say that it was for her own good and because he loved her," an audience member at the early screening told the Nanjing-based newspaper Xiandai Kuaibao. According to the director, he wanted to tackle a social issue that he feels is often encountered but seldom addressed. "Sometimes we easily miss out on the time that should be spent with children. By the time we realize what is happening, it is too late. I hope this movie can provide kids and their parents the opportunity to learn how to communicate and talk to each other," he said at the event.